Talking about Everton, they have been very average this season, they are currently 10th on the table with 23 points, below Liverpool by one point and above Stoke City on goal difference. They need to work very hard in order to even think about any European action next season. The talk of the moment is all about Leicester City and their deadly duo with the names of Jamie Vardy and Riyad Mahrez, what they have achieved is very difficult to achieve for any player and Leicester City should consider themselves very fortunate that they have this duo who have literally teared through oppositions defense. Jamie Vardy have 15 goals in the league and is the top scorer whereas Riyad Mahrez has been scoring goals and assisting as well, he has 11 goals and 7 assists and what a sensation he has been in the Premier League. He might think that he has been shadowed because of Vardy but that is not the case at all and he has been in the eyes of every manager in the world as of right now. Leicester City again defeated another Premier League giant in the last week as they beat Chelsea at home. Jamie Vardy opened the proceedings as he scored the opening goal in the 34th minute and then as usual Mahrez scored in the 48th minute, making it 2-0 in 50 minutes. Chelsea was able to pull one back as Remy scored in the 77th minute making it 2-1 but it wasn’t enough and Leicester City won. Everton have drawn four and won one in their last five games in the Premier league. They played against Norwich City and were able to manage a draw. Lukaku scored the first goal of the match in the 15th minute but Wes Hoolahan scored the equalizer for Norwich in the 47th minute and the match ended in a draw. With the kind of form Leicester City are in they are very hard to beat and Everton have a huge task ahead of them. 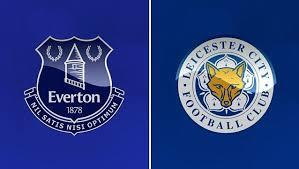 Stay tuned for more updates, we will update you with every news of Leicester City vs Everton here, on this page.